Update: We now have a NEW Amazon coupon! 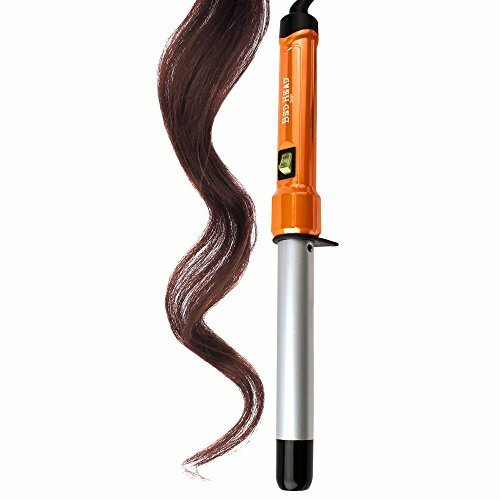 Hurry and get the Bed Head Curlipops Curling Wand for Loose Curls, 1″ today for only $19.99 as low as $12.79 from Amazon when you clip the 20% off coupon. Check out all of the Amazon deals here! LOOSE CURLS WITH OUTRAGEOUS BODY. Elegant or quirky, however you feel — this curling wand is designed for versatile styling and loose, tousled curls that are full of smooth texture and volume. High Heat up to 400° F quickly locks in the curl with a clamp-free wrap-and-go design that leaves no creases behind and a natural-looking finish. Tourmaline Ceramic helps to reduce frizz and lock in shine for amazing body that will last day and night. The Bed Head 1″ Tourmaline Ceramic Styling Iron also comes with a Bonus Heat-protective Glove and a Tangle-Free Swivel Cord that make it easy to style with. HOW TO GET THE LOOK: Take a 1″ section of hair and wrap it around the barrel, with the iron facing downward. Alternate curling each section left then right for a tousled, natural look. Buy the Bed Head Curlipops Curling Wand for Loose Curls, 1″ from Amazon.